On 26 February 2017, Guangzhou Institute for Urban Innovation (GIUI) and ISOCARP signed a Memorandum of Understanding. On 23 October 2017, The International Baikal Winter University of Urban Planning (WU INTRU) and ISOCARP signed a Memorandum of Understanding. On 12 September 2017, CORP and ISOCARP signed a Memorandum of Understanding. In February 2017 a Memorandum of Understanding was signed between ISOCARP and Administration of Almaty Region Akimat. In November 2016 ISOCARP and the Tehran Urban Planning and Research Center signed a Memorandum of Understanding. ISOCARP and the Governor of Ulyanovsk have reached an understanding about a series of thematic interrelated events (2016-1018). 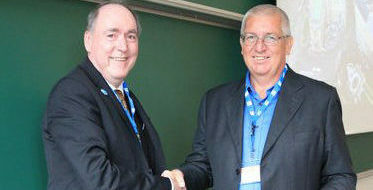 On 25 September 2014 ISOCARP and SACPLAN signed a Memorandum of Understanding. ISOCARP has established partnerships around the world. Click to learn more about them.